The oil is extracted from the sandalwood heartwood by steam distillation. It is pale yellow in colour, with the soft buttery, woody aroma. Sandalwood oil is used in aromatherapy, with its chief characteristics being its relaxing, calming and mind-ordering qualities. It is beneficial for skin problems. Its powerful fixative effects make it an important constituent in making perfumes and essences. What is Sandalwood Oil? Read about properties and uses of Sandalwood Oil in our ingredients section and also view the entire range of products using Sandalwood Oil. The oil is extracted from the sandalwood heartwood by steam distillation. It is pale yellow in colour, with a distinctive soft and buttery, woody aroma. Sandalwood oil is used in aromatherapy, with its chief characteristics being its relaxing, calming and mind-ordering qualities. 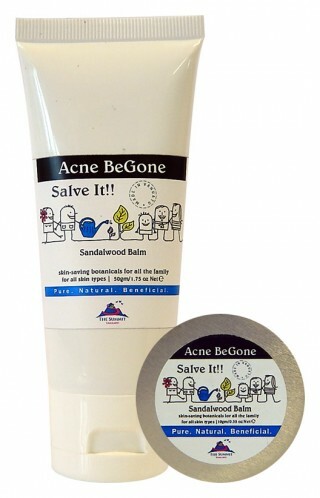 It is highly beneficial for skin problems. Its powerful fixative effects make it an important constituent in making perfumes and essences. 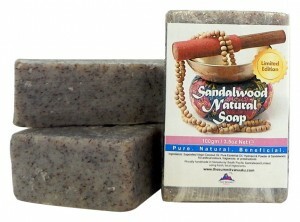 What is Sandalwood Oil? 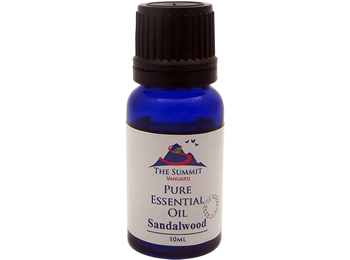 Read about properties and uses of Sandalwood Oil in our ingredients section and also view the entire range of products using Sandalwood Oil. It has antioxidant properties, preventing cellular damage, a cause of aging and other skin problems. It has antibacterial properties that control the bacteria to prevent infections.It has anti-inflammatory properties, which are effective at soothing skin ailments such as acne, psoriasis and eczema;It is an excellent skin toner, leaving a refreshed, firm skin effect. 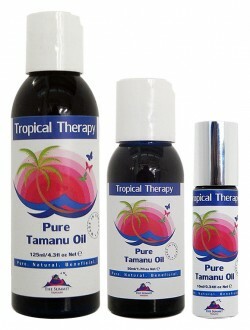 For direct skin application pure essential oils are usually diluted in a carrier oil, or in water. Apply to a small skin area first to ensure there is no adverse reaction. A satisfying massage oil is made by adding 5 drops of sandalwood oil to 10 ml carrier oil. When used in the bath, add 10 drops of sandalwood oil to the running water. Add 3 drops of sandalwood oil to a bowl of hot water and keep you face 300 mm from the surface. I love this Sandalwood essential oil! What a relief to find this high quality product at such affordable prices! Before I found this precious oil I rarely used Sandalwood oil due to the expense. Now I rejoice in the beauty of it everyday. Amazingly beneficial to skin and the aromatherapy is divine. Perfect for perfume blends to really anchor lighter notes. I’ve already ordered three medium sized bottles and will certainly return for more. 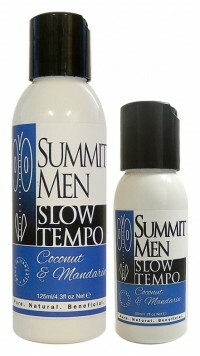 Thank you to The Summit for offering this fine product! Thanks so much. Your oil got here today and it is very fine! FYI- I received the Sandalwood oil and the two complimentary gifts.Thank you v much. I must say, the sandalwood oil is simply too good. It exudes the original sandalwood fragrance. I will be putting up another order v soon. I plan to get the virgin coconut oil. Is it odorless? Prefer it. Just received it today. A true, tenacious sandalwood oil, sweet and woody. Milkier than Australian S. spicatum, stronger than the very mild, contemporary Indian S. album, not at all sharp or musty like Hawaiian S. paniculatum. The closest to vintage Mysore that I’ve found. Thank you very much! Melissa thank you for your glowing feedback! I am savouring your words over and over. For our small team of artisans here at the distillery, it is truly moving to receive such a positive review. Your personal analysis of its traits is remarkable too.